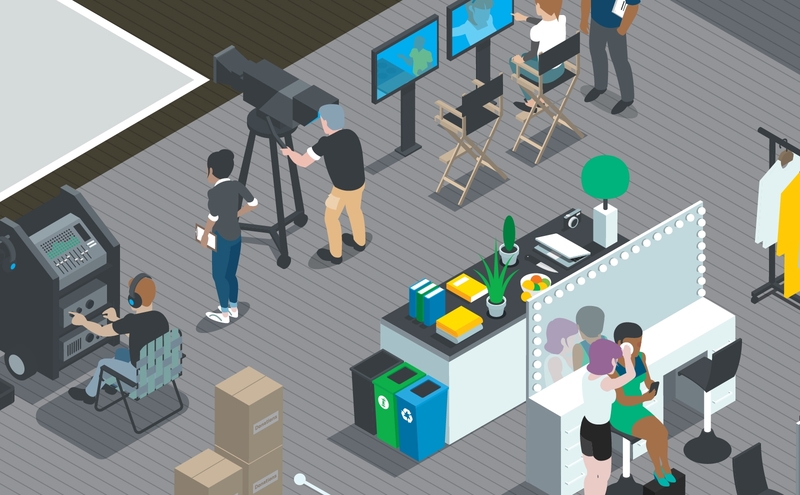 A greener production process for NBC Universal. 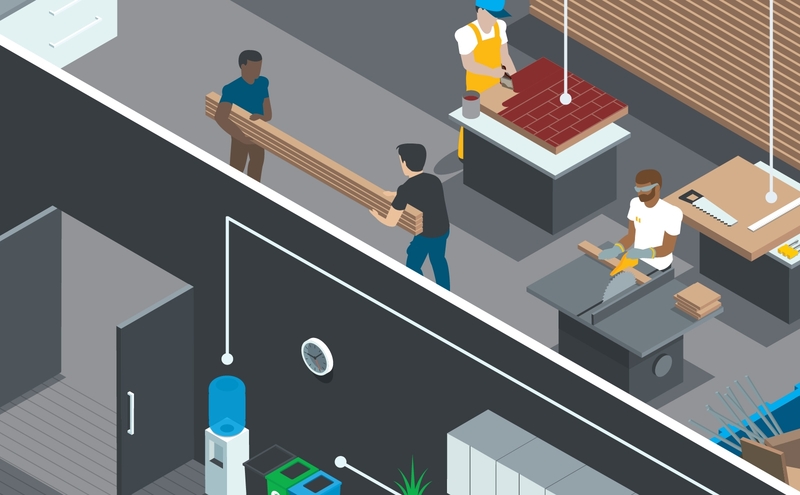 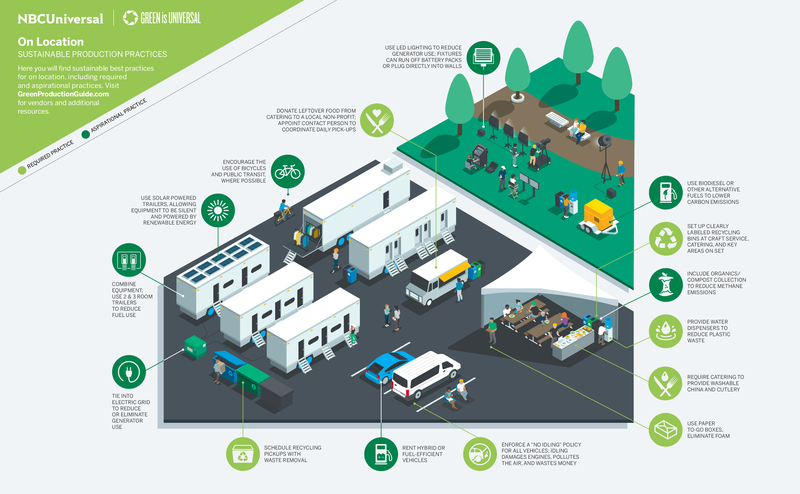 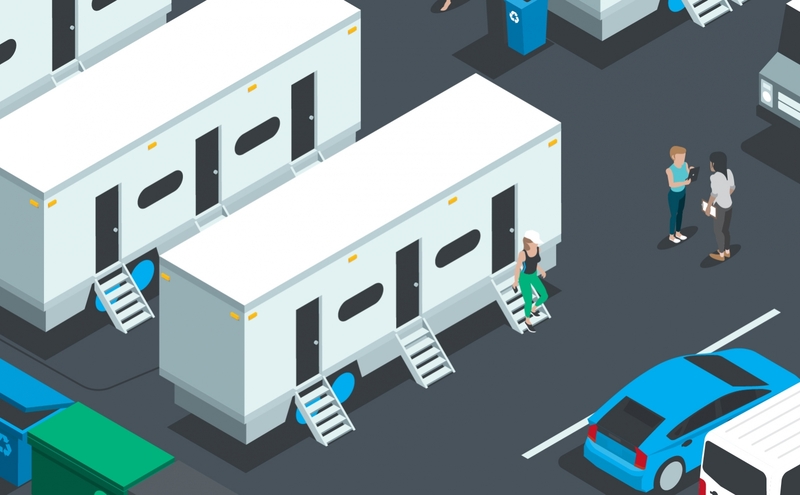 This series of isometric illustrations for NBC Universal looks to educate production personnel on sustainable best-practices for TV and movie shoots. 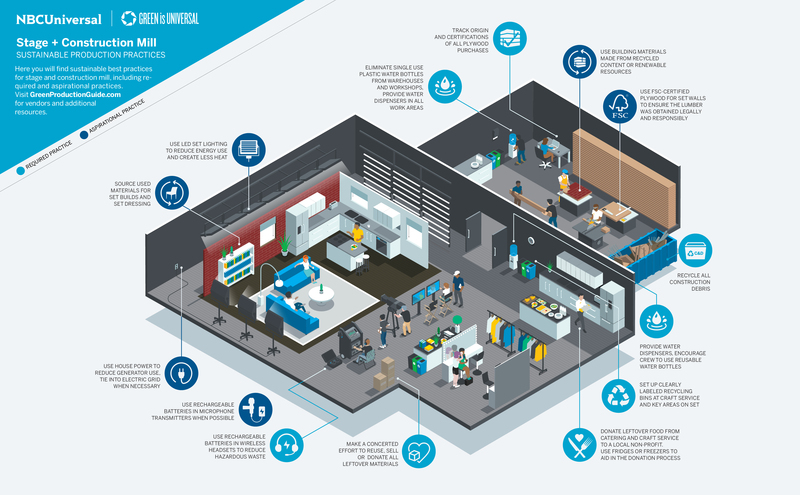 They focus on three distinct production areas. 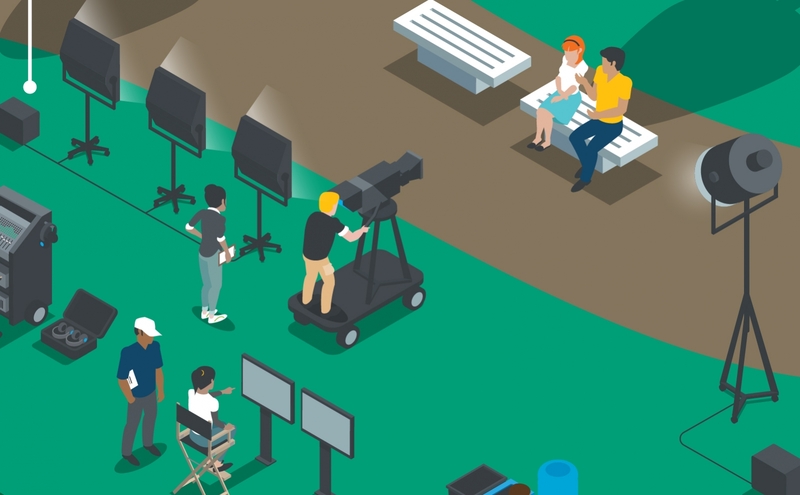 NBC Universal and Charley were looking to educate production personnel through an engaging visual tool. 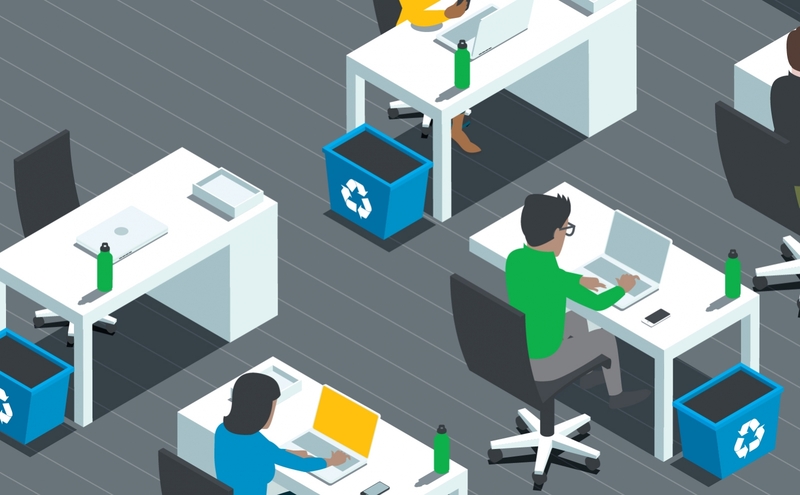 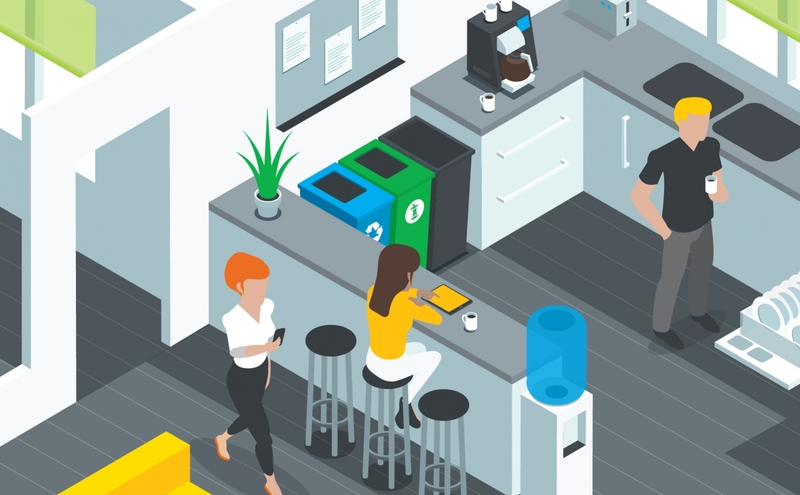 Using the isometric style of illustration, TOM created three environments showing the distinct areas of film production; the office, the stage, and the location shoot.